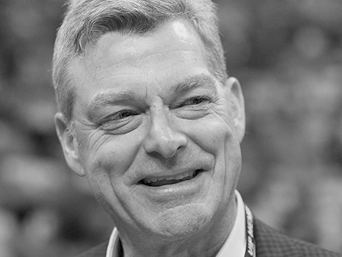 Tony Ressler | HOPE Global Forums | Presented by Operation HOPE, Inc.
Tony Ressler co-founded Ares Management L.P., a publicly traded, leading global alternative asset management firm with approximately $87 billion of assets under management as of March 31, 2015, in 1997. Ares operates four investment groups that invest in tradable credit, direct lending, private equity, and real estate. Ares currently has approximately 800 employees with offices in Atlanta in addition to its headquarters in Los Angeles and other offices in New York, Chicago, Dallas, London, Paris, Frankfurt, Stockholm and Shanghai. Ares Management’s current portfolio includes investments in several Atlanta area-based businesses including Floor & Décor Outlets of America, Inc., Serta Simmons Bedding, and Insight Global.